A cancer researcher based at The Ohio State University has retracted five papers from one journal, citing concerns about figures. The notices for all five papers state the Journal of Biological Chemistry raised questions about some figures, and the authors were not able to supply raw data in all instances. Four of the notices say the authors offered to submit data from repeat experiments and corrected figures, which the journal declined. The only author in common to all papers is Samson Jacob, a professor in the department of cancer biology and genetics at OSU. The institution recently addressed allegations that have dogged another cancer researcher, Carlo Croce: Last week, an external probe by a firm hired by OSU concluded that the university came to “defensible and reasonable” decisions in its investigation into those allegations. Like Croce, Jacob has also received an award for his work: In 2014, Jacob received OSU’s Distinguished Scholar Award, consisting of a $3,000 honorarium and a $20,000 research grant. In accordance with federal regulation and university policy, we are required to maintain confidentiality regarding ongoing research misconduct proceedings, and therefore cannot confirm or deny the existence of any ongoing investigations of faculty. Pseudonymous whistleblower Clare Francis forwarded some of the PubPeer discussions about Jacob’s papers to OSU in March 2017. We’ve contacted Jacob, and will update the post if he responds. The five withdrawn papers were published between 2006 and 2011, and have collectively been cited 171 times, according to Clarivate Analytics’ Web of Science. 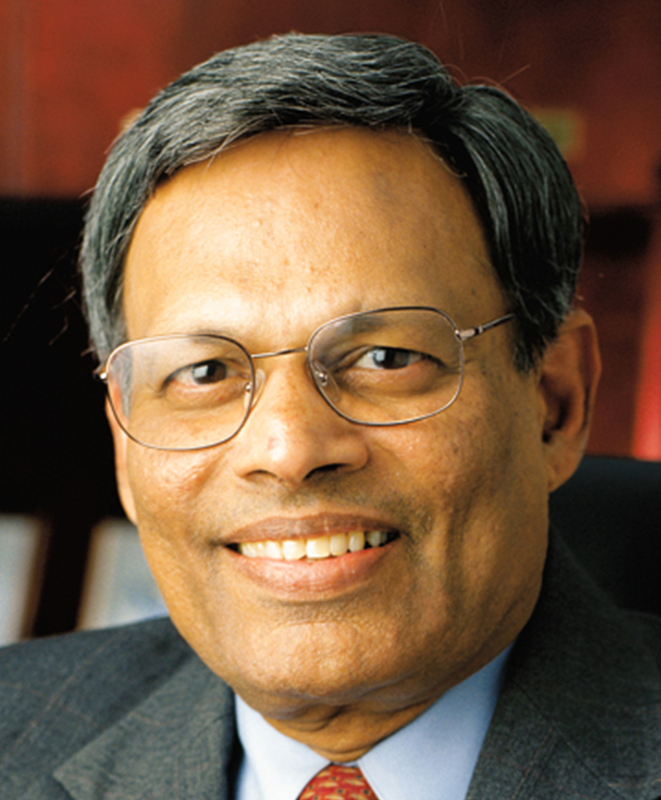 The journal withdrew the articles at the request of the corresponding author, Samson T. Jacob, professor emeritus at the Ohio State University, after an investigation conducted by the journal. The withdrawal notices explain why the action was taken. In most cases, the figures did not meet the journal’s publication standards. Read the full notices here. Additional corrections, withdrawals, and/or retractions related to this investigation may be forthcoming. The JBC editors are committed to correcting the literature when it is warranted. They also are committed to educating existing and prospective JBC authors to prevent misconduct and mistakes. We felt that with the number of papers withdrawn, readers deserved an explanation of the events that occurred. This article has been withdrawn by the authors. In June 2017, the Journal raised questions concerning Figs. 2B, 3B, and 5A. The original data and originally submitted figures were not available for evaluation. Regarding Fig. 2B, the authors were able to locate a repeated experiment performed at the time of the original work, which they state confirm the results. Regarding Figs. 3B and 5A, the authors are not convinced that any duplication occurred, and they were able to provide to the Journal data from multiple partial repeat experiments performed at the time of the original work, which they state confirm the results. The authors offered to publish substitute figures based on the repeated experiments and, alternatively, offered to repeat the experiments. However, the Journal declined both of these offers, a decision with which the authors disagree. The authors stand by the reproducibility of the experimental data and the conclusions of the paper. The paper, with confirmatory data supporting the results, can be obtained by contacting the authors. All of the notices say the authors stand by the reproducibility and conclusions of their papers. Some of Jacob’s papers have been questioned on PubPeer. An OSU spokesperson told us they are not aware of any additional retractions involving Jacob’s group. A spokesperson for PNAS told Retraction Watch the journal has asked Jacob and his co-authors to address concerns raised on PubPeer about a 2004 paper. While I cannot comment on that paper, I will point out that the notice we published indicates that the investigation is ongoing and that other corrections, withdrawals and/or retractions remain a possibility. Mol Cell Biol. 2005 Jun;25(11):4727-41. 5-Aza-deoxycytidine induces selective degradation of DNA methyltransferase 1 by a proteasomal pathway that requires the KEN box, bromo-adjacent homology domain, and nuclear localization signal. Ghoshal K1, Datta J, Majumder S, Bai S, Kutay H, Motiwala T, Jacob ST.
Proc Natl Acad Sci U S A. 2004 Sep 21;101(38):13844-9. Epub 2004 Sep 8. Protein tyrosine phosphatase receptor-type O (PTPRO) exhibits characteristics of a candidate tumor suppressor in human lung cancer. Motiwala T1, Kutay H, Ghoshal K, Bai S, Seimiya H, Tsuruo T, Suster S, Morrison C, Jacob ST.
Department of Molecular and Cellular Biochemistry, College of Medicine, Ohio State University, Columbus, OH 43210, USA. A folate- and methyl-deficient diet alters the expression of DNA methyltransferases and methyl CpG binding proteins involved in epigenetic gene silencing in livers of F344 rats. Ghoshal K1, Li X, Datta J, Bai S, Pogribny I, Pogribny M, Huang Y, Young D, Jacob ST.
Department of Molecular and Cellular Biochemistry, Ohio State University, Columbus, OH 43210, USA. Cancer Res. 2005 Dec 1;65(23):10891-900. Physical and functional interaction of DNA methyltransferase 3A with Mbd3 and Brg1 in mouse lymphosarcoma cells. Datta J1, Majumder S, Bai S, Ghoshal K, Kutay H, Smith DS, Crabb JW, Jacob ST.
Department of Molecular and Cellular Biochemistry, Ohio State University, Columbus, Ohio 43210, USA. Mol Endocrinol. 2009 Feb;23(2):176-87. doi: 10.1210/me.2008-0211. Epub 2008 Dec 18. Estrogen-mediated suppression of the gene encoding protein tyrosine phosphatase PTPRO in human breast cancer: mechanism and role in tamoxifen sensitivity. Ramaswamy B1, Majumder S, Roy S, Ghoshal K, Kutay H, Datta J, Younes M, Shapiro CL, Motiwala T, Jacob ST.
Department of Molecular and Cellular Biochemistry, Ohio State University, Columbus, Ohio, USA. Leukemia. 2015 Jun;29(6):1350-9. doi: 10.1038/leu.2014.341. Epub 2014 Dec 8. Motiwala T1, Kutay H1, Zanesi N2, Frissora FW3, Mo X4, Muthusamy N5, Jacob ST6. Department of Molecular Virology, Immunology and Medical Genetics, The Ohio State University, Columbus, OH, USA. Comprehensive Cancer Center, The Ohio State University, Columbus, OH, USA. Center for Biostatistics, The Ohio State University, Columbus, OH, USA. Department of Internal Medicine, The Ohio State University, Wexner Medical Center, Columbus, OH, USA. 1] Department of Molecular and Cellular Biochemistry, The Ohio State University, Columbus, OH, USA  Comprehensive Cancer Center, The Ohio State University, Columbus, OH, USA. Department of Molecular and Cellular Biochemistry, College of Medicine, The Ohio State University, Columbus, Ohio. 2018 correction for figures 2A and 4C, makes no mention of figures 1B, 3D, or similarity of data in figure 6 to figure 2 J Nutr 136,1522. 4 more retractions ST Jabob, Ohio State University. That’s a total of 9 retractions from J Biol Chem, but none from any other journal. Next Next post: “The ‘1’ key was not pressed hard enough:” Did a typo kill a cancer paper?